Rahul smashed a hundred after December 2016. 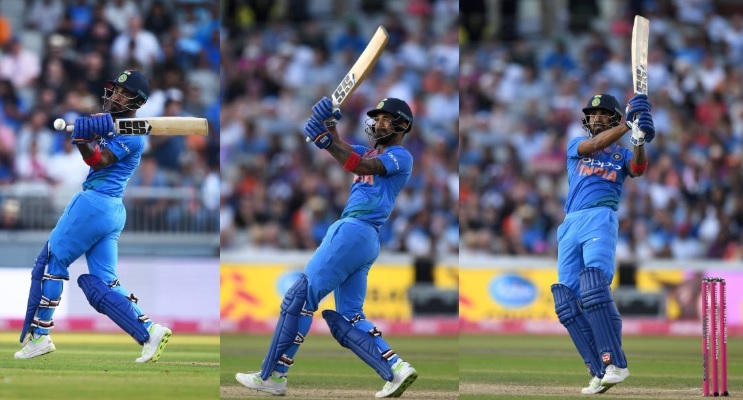 It's tough to admit that KL Rahul, who is such a sensational batsman, was away from a three digit score for 564 days. He went close to the hundred many times but ended up falling short. Rahul even scored three 90+ scores in the last IPL. Just like his admirers, the Karnataka batsman was also eager and anxious to go over the line. He finally did, and that too in style. A flamboyant innings by the man in form was what everyone got to watch but the finish wasn't the ideal one. But it happened, and the fist was finally in the air as Rahul reached his much-awaited ton against England on Tuesday. 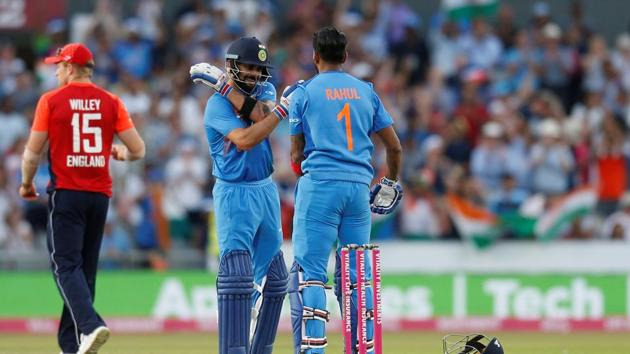 He scored 101 not out off 54 balls to help India beat England by eight wickets, taking a 1-0 lead in the three-match series. His last century came in Chennai on December 16, 2016, against England. He had scored 199 runs. “Trust me I know (it had been 564 days). Quite honestly I didn’t know what to make of it, whether I was in form or out of form. I kept getting the fifties and was getting out. I was batting well, but somehow I couldn’t get to the three-figure mark so it was quite frustrating. Being in and out of the team, injuries, and sickness, it all was playing on my mind and kept frustrating me even more," said Rahul. The 26-year-old was sent above skipper Virat Kohli and Suresh Raina in the batting order, which he utilized really well. However, he remembers the words of team management who asked every player to be flexible keeping the upcoming World Cup in mind. “That’s where I would love to bat and I have always batted at the top of the order. Numbers one and two are what I am most comfortable in. Shikhar (Dhawan) got out early and it still felt like I was opening the batting. It gives me a chance to get my eye in and even use the powerplay. Whatever chances I get I should make the most of it and I am very happy that I got to bat up the order,” said Rahul. “(But) It has been made clear that there will be few changes in the team and as a batting unit we need to flexible in our heads to be able to perform any role or responsibility that has been given to us. We are all working towards it. We might want to promote MS Dhoni or Hardik Pandya if we get a good start, to go and get us a few sixes or get the run-rate up. So we will be flexible keeping in mind the World Cup,” he added. Rahul said he realized the importance of an opportunity only when he was made to sit out of the team. That has helped him improve as a player and individual. “Before this, I didn’t make too many international runs due to whatever reasons, injuries or I have been in the team and not played in the XI. “When you sit out then you realize that when you get the opportunity how important it is to use that opportunity, not only as a player individually but also for the team. When you get a chance to play, if you help them win a game then the team will start believing that the player can also do this for the team. So building that confidence for yourself and the team is very important," he said. The explosive top order batsman was superb in the IPL 2018. Good for India, he has continued the form till now. “I am very happy that my performance in the last 3-4 months and have kept improving with each game. It started in the IPL where I got to bat at the top of the order. I hadn’t played a lot of international games before that, so there was a lot of passion, and I wanted to be out there in the middle and make the best use of the opportunities. One more win will seal the deal for the Indian team in T20I series. They are already 1-0 up in the series and with just two more matches to go, they have a chance to crush the hosts in Cardiff and secure the trophy. The English batsman struggled to play wrist spinners in the opening T20I. Rahul thinks the case is the same with all teams and not just England. “I don’t think it is just England. A good wrist spinner is a good wrist spinner against any opposition. And with the kind of skill and quality that Kuldeep and Yuzvendra Chahal have, it’s always going to be hard for a team that doesn’t play spin a lot. 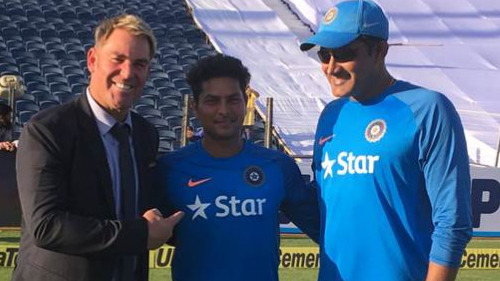 “What Kuldeep did was special as getting a five-for in a T20 game isn’t easy. You can be bowling well but most times you could get away for 2 or 3 wickets and go for 30 runs. But he kept at it. 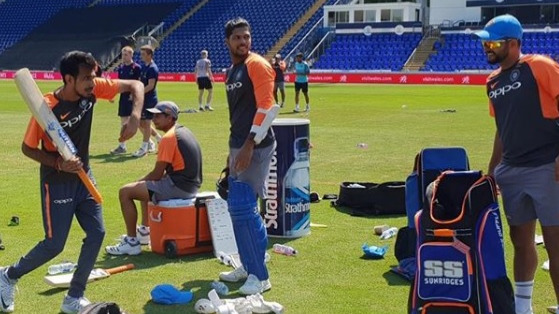 The way Chahal and Kuldeep are bowling, they’re going to be dangerous throughout the series,” said Rahul.